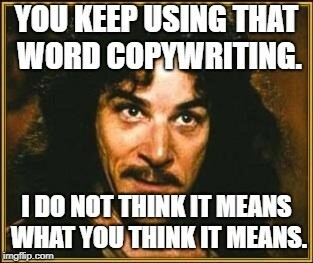 This suggestion comes courtesy of a MarketingSherpa Inbound Marketing newsletter subscriber who recently completed the MECLABS Institute Value Proposition Development course (from MarketingSherpa’s parent research institute). Understanding these two topics — the micro-moment and the micro-yes — is especially important to the inbound marketer. Content and social media tend to be consumed in micro-moments, and to get customers to engage with your social and content (and ultimately take a larger conversion action, like a purchase) requires a micro-yes to get a micro-conversion. “We put a name to a behavior that, thanks to mobile, was becoming pervasive. People had started to expect an immediate answer in the moments they wanted to know, go, do and buy,” said Lisa Gevelber, VP of Marketing for the Americas, Google, in the article 3 new consumer behaviors playing out in Google search data. Essentially, mobile web use is exploding. Yada, yada, yada. I’m sure you know all of that. But the important element to take away is not just the form factor that mobile use requires (e.g., responsive design) but the customer behavior shift mobile hath wrought. And this is a trap we as marketers fall into. When we’re reviewing our social, our content, our landing pages, our advertising, our email, etc., we’re pretty darned focused on it. We eliminate as many distractions as possible. We craft headlines and body copy with a surgical precision. We know every detail about our products and services. However, the customer is taking a mere micro-moment in their day with many other distractions going on. When they come across your blog post, they — “Jimmy! I told you to put that down and get off of your brother!” — interact with your content, social and marketing messages in a much more distracted fashion — “Wait, what did they say? Was that Flight 2054 to Jacksonville canceled? Or did they say Flight 2045?” — so you need to make sure your messages are clear and compelling. Hence the need for micro-yes(s); more on that in a moment. But the bigger point is this: Next time you’re looking at a marketing piece or piece of content, don’t just make sure the form is optimized for mobile (e.g., big buttons, white space, whatever). Make sure you’re thinking through that customer’s mobile behavior. Because customers often exhibit different behaviors in these micro-moments. To wit, “Mobile searches for ‘best’ have grown 80% in the past two years,” Gevelber said. So this behavior impacts your SEO and content strategies, for example. What type of information will people be searching for in a micro-moment? What content would help them? You know how people chat in the office kitchen about hitting a plateau in their diet and exercise routine? Probably the most likely offender is Linda from HR. Sometimes that can happen with social media too — you’re on a steady diet of energizing engagement, and then all of a sudden, you can’t get ahead. My co-worker, who runs our social media, and I were just commiserating about how these frustrating plateaus can come out of nowhere — one week, it’s three followers more, the next, it’s four followers less. As with your exercise habits, the answer to a social media plateau is most likely a change in routine. If you don’t mind me saying so, mining MarketingSherpa’s content or signing up for our inbound newsletter for ideas is a good place to start. It worked for us, after all. It doesn’t have to be with us though, of course. Do some searching. Check out different websites or even other businesses’ social media accounts to see what your peers are doing. However, with my intimate knowledge of our extensive library of content, allow me to guide you to some that might be of assistance for this query. Since it’s the end of the year, we like to revisit the most popular articles and case studies from the past 12 months — the collection of which can be found on our homepage. Looking back at top content helps us see what our readers found to be the most helpful and valuable content, and it helps you to know what your peers are looking for. This year, we published two case studies back-to-back in the B2C and Inbound marketing channels covering the efforts of My Pooch Face, a site that provides acrylic and digital pet portraits. Both popped up as the most popular of the year, so I decided to dig back in and focus on a portion from my notes that was previously unpublished. 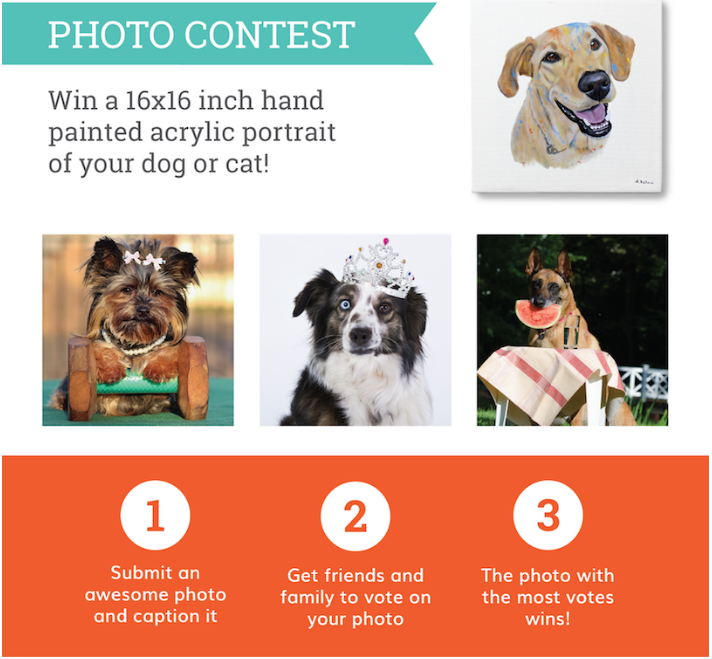 David Lefkovits, Founder and CEO, My Pooch Face, and his team launched a Pet Photo Contest on October 26, with the aim of running it six days until the end of the month. They used a dedicated page www.mypoochface.com/photo-contest and also the link www.vote4mydog.com, which re-directed to the same page. Every Friday leading up to June 7, when IRCE begins in Chicago, MarketingSherpa will be diving into the lessons learned from last year’s Media Center interviews with speakers and attendees, such as Eoin Comerford, CEO, Moosejaw. He and I spoke last year about taking risks in campaigns in order to reap the rewards of customer loyalty. “What it comes down to is, do you want a brand that people will care about? If you try to be all things to all people, you’re really nothing to nobody,” he said. U.S. media ad spending will hit $200 billion in 2016, according to eMarketer. And yet, when we asked 2,021 customers how they discover new products, advertising was the fifth most popular response with offline and online advertising tied for fifth with 27% of responses. “In-store browsing” was the most popular (59%), and the focus of today’s MarketingSherpa Blog post — “word of mouth from friends, family, colleagues” — was a close second at 57%. However, when we asked marketers how they actually helped customers learn about products, there was a bit of a disconnect from customer preferences. Online advertising was the most frequently used tactic (60%), while “encouraging word of mouth” was only the fifth most popular tactic (chosen by 45% of marketers). How can you increase word of mouth for your products and services? This will generate organic referrals at the highest rate. But a deeper question is more applicable to marketers — how can you leverage word of mouth in your marketing to increase conversion? Here are three ideas for your campaigns. That quote is from Cambria Jacobs, Vice President of Marketing and Customer Service, Door to Door Organics, from a video promoting the MarketingSherpa Summit 2017 Call for Speakers. Now, we didn’t need to have Cambria in the video. I could have told you how amazing it is to be a speaker at MarketingSherpa Summit 2017 at the Aria Resort in Las Vegas. How you’ll have your name up in lights. You will be fawned over by an adoring crowd of marketers. And, most importantly, you may even get the distinct honor and privilege of working directly with me for several months — a once-in-a-lifetime opportunity that you will never forget — as I help you shape your story before we discuss it on stage. Marketers ask all the time, “How can we make our marketing go viral?” It’s a little like saying, “Let’s plan to be spontaneous” — as pointless as it is ironic. You can’t make anything go viral. It’s a mysterious and oftentimes random set of elements that leads to online sharing and discussion, even if “going viral” is just within your own pool of customers. That isn’t to say, though, that there aren’t tips and ideas that you can’t integrate into your content and marketing practices to increase the odds of intriguing and capturing your customers enough to share your content. Chances are you’re familiar with Shia LaBeouf. The actor notably started on the Disney Channel show Even Stevens and he has been a near-constant figure in Michael Bay’s Transformers movies. However, around the Internet, he may be better known for his performance art pieces. Beginning Tuesday, November 10, at noon, LaBeouf sat in the audience of the Angelika Film Center in New York City to watch all 27 of his movies, beginning with the most recent and ending Thursday at 8 p.m. with his first. 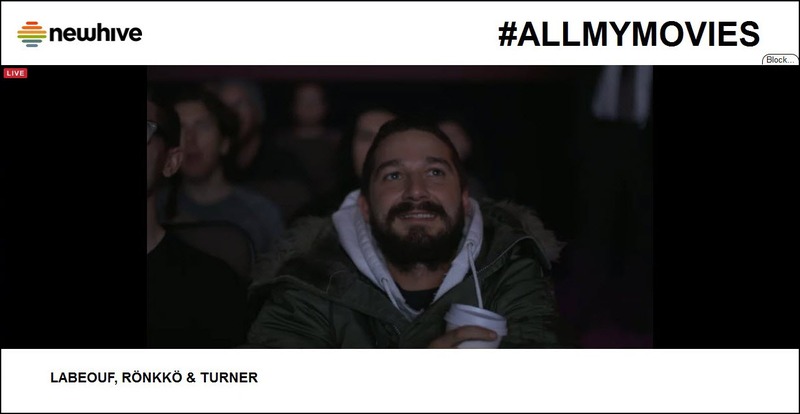 In this latest performance art piece, titled #ALLMYMOVIES, visitors were invited to the theater to sit with Shia as he watches all of his movies consecutively in what various articles are calling “a work of genius,” (Rolling Stone) or alternately, “the most narcissistic binge-watch of all time.” (LA Times). KontrolFreek has taken a “very organic” approach to building its base of customer brand enthusiasts and ambassadors, which it calls FreekNation. Ashish Mistry, President and CEO, KontrolFreek, sat down with me at IRCE 2015 in Chicago, and discussed how the company was able to work within pockets of influence in its digital marketing to turn customers into fans. The key to how the marketing team has been able to do this is through a number of different avenues in its digital space. “One of the things we realized early on was that this was going to be the core of our marketing,” Ashish said. The team thought email would be one of the main marketing drivers, he added, but what has been the most interesting development, from his perspective, is to see how important the social role of these brand enthusiasts has been for the customer base. I love looking at interesting data. When I found Totem’s list of brands on Instagram, I dove right in. The first thing I noticed looking at the list was that it was full of obvious consumer brands at the top. Brands that are inherently visual — mainly fashion, food and consumer goods. What was interesting to me about the data were the outliers. The brands that seem like they wouldn’t fit at all on the mainly visual social network. Even more interesting for marketers are the reasons they are successful. If we can study these brands and their creative use of the platform, maybe we can model them for our own brands. With that in mind, I tried to do some digging into the “why” of the success for each of the brands below. There were a few instances where it was obvious, and a few not so obvious. Either way, I recommend you dive in yourself and study these brands. Figure out what they are doing and draw inspiration from the marketers behind these brands. Think of this as simply a diving off point. Without further ado, here are the most surprising brands I found on Totem’s list. Official tourism brands have done extremely well on Instagram for obvious reasons. The Earth happens to be very beautiful to look at. For some reason (and nothing against Michigan) nowhere on Earth has more people posting pictures of it than Michigan. @PureMichigan ranks first in Totem’s overall tourism category for Instagram users posting its hashtag #puremichigan. If you only look at tourism brands for geographical areas, after Australia and Canada, it ranks third in terms of follower numbers.